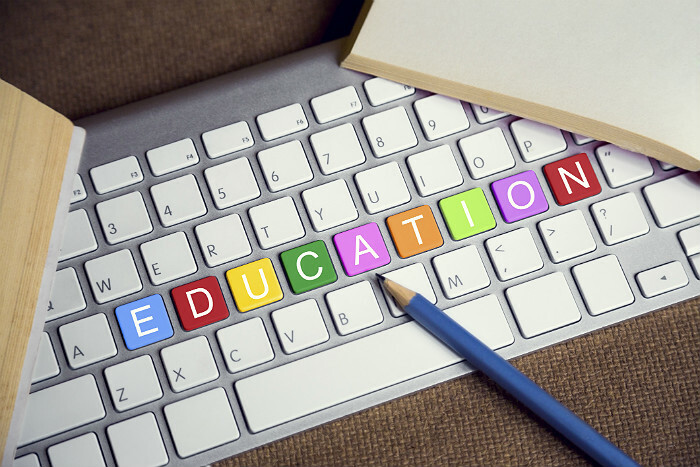 The U. S. Department of Education has created Connected Educator Month to promote learning through peer-to-peer interactions online between educators. Connected learning is a form of 21st century professional development and collaboration through virtual connections. Although Connected Educator Month is promoted by the U.S. Department of Education, it is a global event in which educators worldwide are participating. Educators of TESOL are a globally connected audience by means of the profession. Connected Educator Month is an excellent time to expand connected learning in the field of TESOL through globally connected interactions that transcend content area boundaries. Through interdisciplinary connectedness, Teachers of English to speakers of other languages can expand English development through multifaceted learning means. The U.S. Department of Education has created a calendar of Connected Educator Events in which any educator can participate and learn in a connected virtual environment. There are more than 240 events hosted by various organizations and educators. These live events will be occurring throughout the month of October. The Connected Educators website has many other ways to virtual interact with peers. Promote Connected Educator Month by signing up on the website to interact with the community. Use the toolkit to promote integrated online learning. Support peers of other content areas by teaching strategies and sharing concepts to help them learn how to maximize content area learning by their English language learners. Earn a Connected Educator Badge or give one to a peer for their contribution to connected learning. Listed below are some of the live Connected Educator events that are helpful to educators of TESOL. The events listed below begin Oct. 7 and will be taking place at various times throughout the month. Find the events you like and participate in the live virtual learning. Meet new educators in other content areas, learn through connected means, support collaborative learning and develop your skills to promote connected English language learning with your students. You might also want to check out the Connected Educators website to view the entire list of live events. After participation in any of these events, how might you use the content you learn to further Connected Educators of TESOL? How can you share what you learn with other educators of English language learning further the growth of the field? TESOL International Association has a large community of connected educators. Interact and promote connected learning in TESOL communities. Share in special interest sections, learn through local TESOL affiliations and learn in online seminars. Incorporate Digital Citizenship Week to teach students about online learning, digital responsibility and cyberbullying. Teach ESL students what digital citizenship is and how to navigate learning. Many resources and visuals are available to support understanding. Resources are available for K-12. Support Connected Educator Month through interactions and conversations on Twitter. Use the #CE13 hashtag to participate in conversations. Connect with other TESOL educators on Twitter through weekly Twitter chats on #ELLchat or #ELTchat. If you have never participated in a Twitter live chat, use the links to learn how to start. These are live connected discussions that take place weekly by active educators of TESOL. Participate in the TESOL group on LinkedIn. There are also many ESL field-based groups available on LinkedIn. Choose the group(s) that fit your field expertise and interests. Join them and begin your connection discussions. Create your own connections and events based off one of the Connected Educators Month themes. Use any of the themes below to create events on your website or social media outlets. Have seminars, create discussions or write website posts that engage TESOL educator connectedness. How are you going to participate in Connected Educator Month? Are you going to participate in a scheduled Connected Educator Event? Are you going to participate in discussions on social media? Are you going to create your own Connected Educator Event? Are you going to share your experience and expertise on a website or blog? Through participation in Connected Educator Month you can share through the hashtag #TESOL on Twitter. Do you participate in online teaching discussions?